Discussion in 'Promo Codes and Contests' started by itx, Aug 9, 2015. ** AppAdvice - "If you enjoy the old Dungeon & Dragons, and Ultima games, as well as strategy titles like heroes of Might & Magic, then Kings Hero may be your ..." ** Kings Hero is an epic saga about a knight, a classical role-playing game with turn-based combat! You will travel through its magic world in real time, fighting for ancient artifacts and collecting materials for building your own castle. During combat, the game switches to the tactical mode. 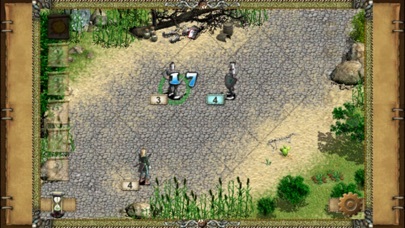 All combat takes place in restricted locations in the turn-based mode. 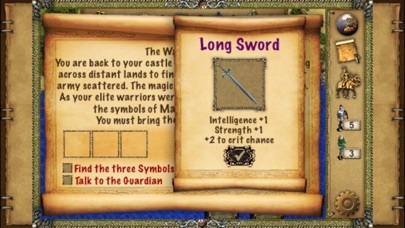 Game features: Tactical combat involving attack and control spells. Boss battles. Dozens of quests Building a castle to upgrade your troops. Building a mages tower to unlock new spells. Free navigation through the game world with dozens of fantastic locations. Seems the top and bottom codes are claimed too! It seems like most of the codes have been claimed. Only 7 people saying "thank you" is pretty poor form of lurkers. I downloaded this when I saw it mentioned in the "Sea on Fire" forum thread and I literally have not been able to put it down! Spent about 6 hours and only have 2 more stages to go. Great game and definitely been worth my time. Good progression, I can feel the changes when I equip different gear and I always love it when sometimes the best fitting equip is not always the most expensive. Thanks for this fun game and I wish it may get some more visibility during your sale!